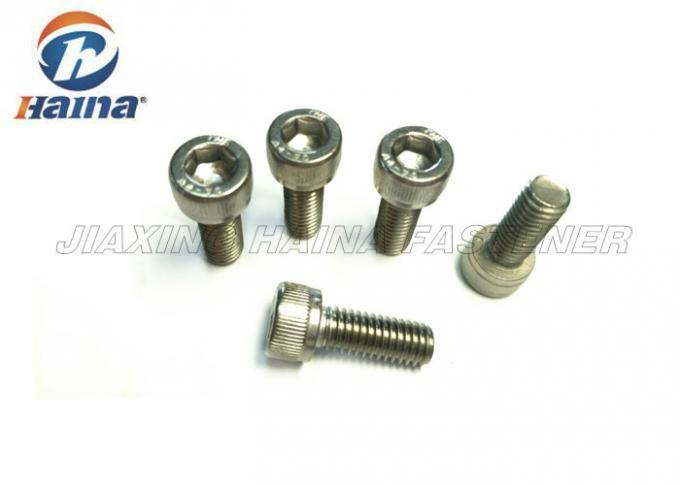 The inner cylinder head Allen screws, also called hex bolts, cup head screws, socket head cap screws, its not the same name, but represent the meaning is the same. Commonly It is called hexagon socket head screws, then there are 4.8, 8.8, 10.9, 12.9. Also called SHCS, also called hex bolts. Its head is hex head, cylinder head also. Material stainless steel and iron. 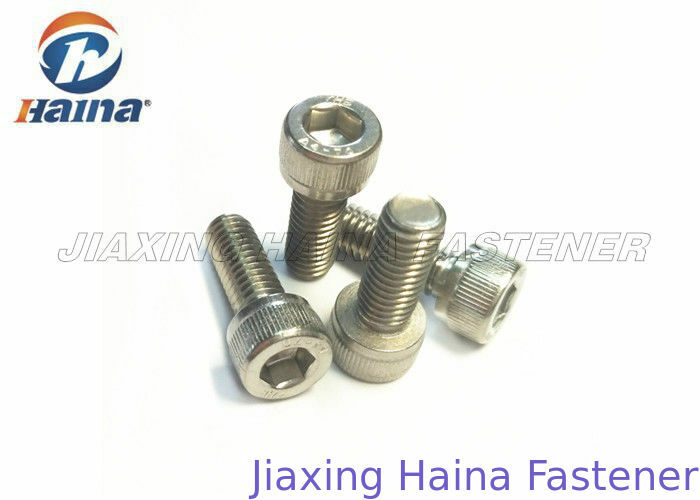 There are stainless steel SUS202 stainless steel hexagon socket head cap screws, this is an ordinary stainless steel material, there are stainless steel SUS304 hexagon socket head cap screws with stainless steel SUS316 hexagon socket head cap screws. Iron by hexagon socket head cap screws strength rating, there is within 4.8 hexagon socket head screws, there are within 8.8 hexagon socket head cap screws with internal hexagon socket head cap screws 10.9 with 12.9 hexagon socket head cap screws. Within 8.8 -12.9 level hexagon socket head cap screws called high-strength high-grade hex bolts. Standard StandardNo: GB / T 70.1-2008. The most common stainless steel for general hardware use is stainelss steel 304, which is also called stainless steel 18-8.Stainless steel 316 is A highly corrosion resistant grade of stainless steel. Ideal in salt water and chlorine environments. More expensive than 18-8. Zin plated alloy steel is another a very high strength heat treated alloy steel. Zinc plated for moderate corrosion resistance. Alloy steel black oxide finish is also a very high strength heat treated alloy steel. Black oil (plain) finish. ASME standard socket cap screws are from 0 to 2” diameter. These socket cap screws are manufactured to the most recent ASME B18.3, IFI, or customer stated standards with either full or partial threaded options. Our stockisthousands of these socket cap screws in any of our various materials and sizes. Test Equipments Desktop direct- reading spectrometer, cutting machine, automatic pre- milling machine, polishing machin, hard-testing gauge(Vickers), metallography microscope, electrolytic thickness gauge, tensile testing machine, salt spray device, magnetic detection machine(magnetic particle flaw detector), Caliper, Go&No-go gauge and etc. Similar with countersunk head screw, the socket cap screws are in greater the strength of the connection, but must use the appropriate size Allen wrench screw to assemb or disassemb. Generally used for a variety of machine tools and accessories. Structural Steel; Metal Buliding; Oil&Gas; Tower&Pole; Wind Energy; Mechanical Machine; Automobile: Home Decorating and etc.